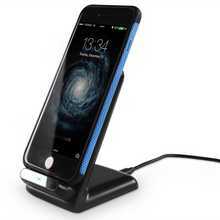 Receivers to convert iPhone 5, 6, 6+, 7, 7+ Samsung Galaxy S3, S4, S5 and Note 2, 3, 4 to Wireless Charging. Portable USB Wireless Chargers and combined power banks for power away from the mains. 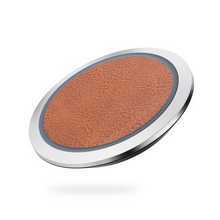 We have a select range of wireless phone battery charging pads, including wireless portable phone chargers, for everyday phone charging. 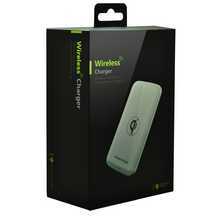 The two portable wireless mobile phone chargers, enable you to charge by wireless all day, whilst connected to a laptop and then when you disconnect the wireless portable charger, it still retains at least 2 further charges, even disconnected from the mains. Smartphone users know how much battery life applications take up so you can often find yourself out during the day with a short percentage of battery - we've all been there. 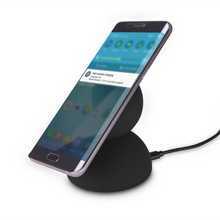 With the convenience of Wireless charging it is much easier to keep the phone topped up from a Qi pad by the PC, in the Car or in the multitude of Public Wireless charging pads in Coffee shops etc. 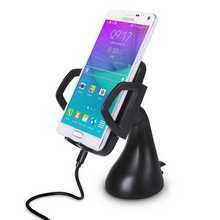 Mobile Solar Chargers have been retailing Wireless Phone Chargers and using Genuine Wireless Power Consortium Products for the past 5 years. 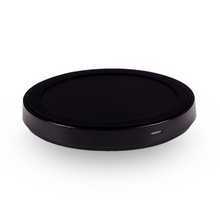 Whether you have an iPhone, Samsung, Nokia Lumia, HTC or Google Nexus you can benefit from these wireless chargers. 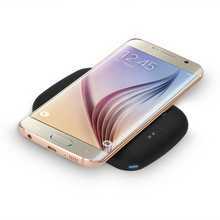 Once you have used wireless charging it is unlikely you will ever go back to hunting for a charging lead. 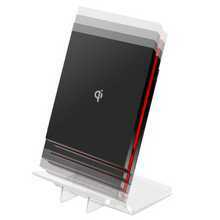 All our wireless chargers conform to the Qi International induction charging standard (Wireless Power Consortium) . 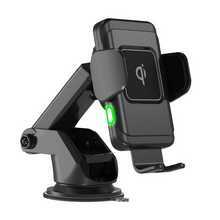 Why Qi ?, because this time around, instead of having multiple connectors for each brand of phone, Qi ensures that all receivers and transmitters (phones and chargers) are compatible with each other. Want to ask a question ? Not sure which one is suitable?